Dan Link/USFWSEast Island, located in the Pacific Ocean, has largely disappeared after being struck by Hurricane Walaka in early October. East Island is located about 550 miles northwest of Honolulu, Hawaii. In early October, the island was effectively wiped off the map when Hurricane Walaka swept through it. Scientists say East Island was the nesting ground for 50% of the world’s Hawaiian green sea turtles. It’s unclear if the island will reappear, and scientists expect future hurricanes to be stronger and wetter due to climate change. An 11-acre island in the Pacific Ocean has vanished after Hurricane Walaka, one of the most powerful storms to sweep through the area, struck the island in early October. Satellite photos show that East Island, located roughly 550 miles northwest of Honolulu, Hawaii, was wiped off the map during the hurricane. East Island is part of the Papahānaumokuākea Marine National Monument, a 1,350-mile-long stretch of coral islands, banks, seamounts, and shoals. Until now, it supported a wide variety of coral, fish, birds, and marine mammals, many of which can’t be found outside of the Hawaiian Islands. The island was the second-largest in French Frigate Shoals, which are home to rare species like the endangered Hawaiian monk seal and the threatened sea green turtle. In addition, about 14 million seabirds across 22 species breed and nest in the shoals. According to the Honolulu Civil Beat, East Island was the nesting ground for 50% of the world’s Hawaiian green sea turtles, and about one-seventh of the world’s Hawaiian monk seals were born on the isle. But the area that served as a home for these animals is nearly gone, with only bits of sand still proving it ever existed. 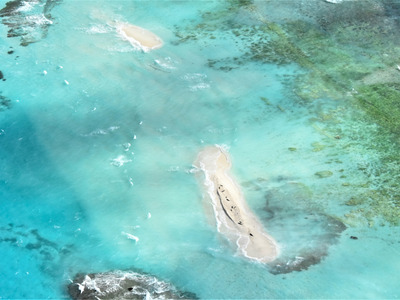 Dan Link/USFWSA photo of East Island taken before Hurricane Walaka made landfall. Randy Kosaki, a deputy superintendent of research and field operations at National Oceanic and Atmospheric Administration, told The Washington Post that researchers have expected low-lying islands like East Island to vanish under rising sea levels. However, they thought these isles would disappear gradually over the next century. For now, it is unclear whether East Island will reappear. The future of the sea turtles and other animals is uncertain as well, though conservative biologist Charles Littnan told The New York Times that some monk seals have already returned to the island’s remaining patch of sand. 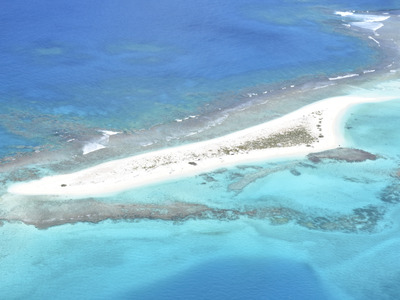 A marine debris team will stop at French Frigate Shoals to assess the damage to wildlife, according to a press release. Papahānaumokuākea Marine National Monument managers will work to figure out how the island’s disappearance may affect protected species and their habitats, the release said. The vanishing of more islands in the near future is possible – though scientists cannot say climate change causes hurricanes, scientific evidence shows that storms are stronger and wetter because of climate change.